To err is human but to really mess up you require a design committee of bureaucrats headed by a politician. How else would you account for the government’s approval to cheap import of butter oil that puts Indian dairy majors – largely it’s milk cooperatives – in an avoidable stranglehold at a time of glut conditions? Indian dairy cooperatives have been shouting hoarse at the doorsteps of a government headed by a Prime Minister from Gujarat – the milk cradle of India – pointing out the hazards, but so far to no avail. According to a report, 1300 metric tons (MT) of butter oil (ghee) from New Zealand has already landed and another 2500 MT is on the way. And of course, there is more in queue. The glaring price difference tells it’s own story: Imported at Rs 170 per kg, it is ranged against a domestic product going at Rs 325 per kg in bulk packing. The global milk market is ‘fermenting’ and the international dairy product prices are in free fall. There is a drop in currency rates against the dollar, quota removal by European Union is a desperate measure after being rendered red nosed by a Russian embargo. Indian exports of dairy products have also suffered alongside. India’s milk production has been growing at over 4 per cent annually compared to a 2.75 per cent growth in world milk production. Per capita availability of milk has also increased to 290 grams per day as against world per capita availability of 289 grams per day. The demand for milk is also growing much faster and is projected to reach 200-210 million tonnes by 2021-22. In India, there have been representations galore against allowing imports in a bid to protect domestic interests. Gujarat Cooperative Milk Marketing Federation (GCMMF), Asia’s largest milk cooperative and apex marketing body of 17 dairy unions made famous by the brand name Amul with an annual turnover of Rs 21,000 crore has done so too. It’s Managing Director RS Sodhi is on record urging the Union agriculture ministry against imports. Sodhi has cause to be concerned for his organization represents the milk marketing interests of 36 lakh dairy farmers. 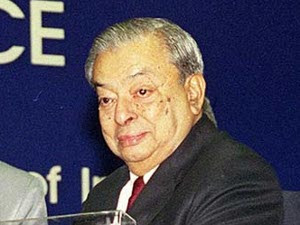 Interestingly, the milk turf astutely, insulated and protected for decades by the father of the milk revolution in India, Dr V Kurien, had become the most targeted ‘acquisition’ for Gujarat’s longest serving chief minister, Narendra Modi, who is now the Prime Minister. Thirty six lakh dairy farmers with their families, accounting for a geometric progression in numbers, makes for a salivating captive vote bank and the Gujarat chief minister was no exception. Kurien, who was the head of the GCMMF, chairman of the National Dairy Development Board (NDDB) and also the head honcho of the Institute of Rural Management, Anand (IRMA), was the sole rock-like obstacle standing between Modi and the ‘milk masses’. All manner of stratagems including the full force of covert state power was brought into play to remove him unceremoniously from all three positions. Kurien could take on God almighty for his dairy farmers, for Modi it was personal pique. So personally did he take it that, though just about 25 km from Anand when Kurien died, he did not show the basic courtesy of a personal visit to a man who ensured that India ranks as the largest milk producer in the world, even to this day. Much lesser mortals continue to be accorded this privilege, even in mirthful moments, still. PA Joseph, who spent 22 years of his life as executive assistant to Kurien, laments the dilution of his vision. Government interference in the affairs of the dairy cooperatives, which are supposed to be farmer owned and controlled organizations, is now blatant. Joseph remembers, "Kurien would call the Registrar of Cooperatives as ‘God of Cooperatives’ and the state minister to whom he reports as the ’boss of god’. And if the God is pleased with elected representatives of a cooperative then it is fine ,otherwise all hell breaks loose”. It is dangerous to be right when the government is wrong. With Kurien out of the way, there was no stopping chief minister Modi. And Anandiben Patel who succeeded him has also inherited the same BJP lineage and streak.Today,16 of the 17 dairy unions that constitute the GCMMF are BJP controlled and it is a direct mandate from the Gujarat chief minister which decides the chairmanship of this Rs 21,000 crore annual turnover organization aiming for a Rs 50,000 crore turnover by 2020. Things have come to such a pass that internecine warfare within the BJP is finding reflection in dairy cooperatives. BJP leader Vipul Chaudhary was forced out of the chairmanship of the GCMMF by Modi for the sin of attending a meeting in Ahmedabad where Rahul Gandhi was present. Even after that he has been incessantly hounded and stripped off the chairmanship of the over 5-lakh-member Dudhsagar district cooperative dairy at the behest of his own government. This has been done through the appointment of a custodian. He was also sought to be debarred by the registrar from contesting the elections to the cooperative but the High Court rejected the government decision. The BJP had also moved heaven and earth to wrest control of the lone Congress-controlled Anand district cooperative milk producers union, but it lost in the elections. Even thereafter the government sought indirect methods to takeover by inducting government members on the board but judicial intervention put paid to their efforts. Not content, the BJP government has got an amendment in the Gujarat Cooperative Societies Act passed in the state Assembly giving it the right to appoint custodians to cooperatives where elections are pending after the terms of the respective boards had concluded. In fact, the process had been initiated to name custodians in 125 cooperatives but legal wrangles have come in the way and the matter rests with the apex court. This entire spectre of centralized control of all manner of institutions while publicly professing decentralization is the legacy of the then chief minister Modi. “Less government, more governance” he would say with aplomb even as he went about centralizing things in his own hands in Gujarat. It is the replication of this very same ‘Gujarat model’ that is on view in Delhi where the PMO is all powerful and Home Minister Rajnath Singh has to deflect questions pertaining to the transfer of the union home secretary to the Prime Minister. The media manufactured transparency is in reality a bureaucratically engineered opacity!